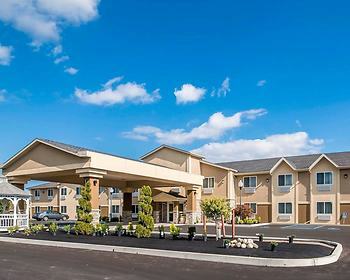 Hotel Comfort Inn Saugerties, Saugerties, United States of America - Lowest Rate Guaranteed! When you stay at Comfort Inn Saugerties in Saugerties, you'll be near ski lifts and within a 5-minute drive of HITS-on-the-Hudson. This hotel is 2.3 mi (3.6 km) from Saugerties Village Beach and 2.3 mi (3.7 km) from Esopus Falls.